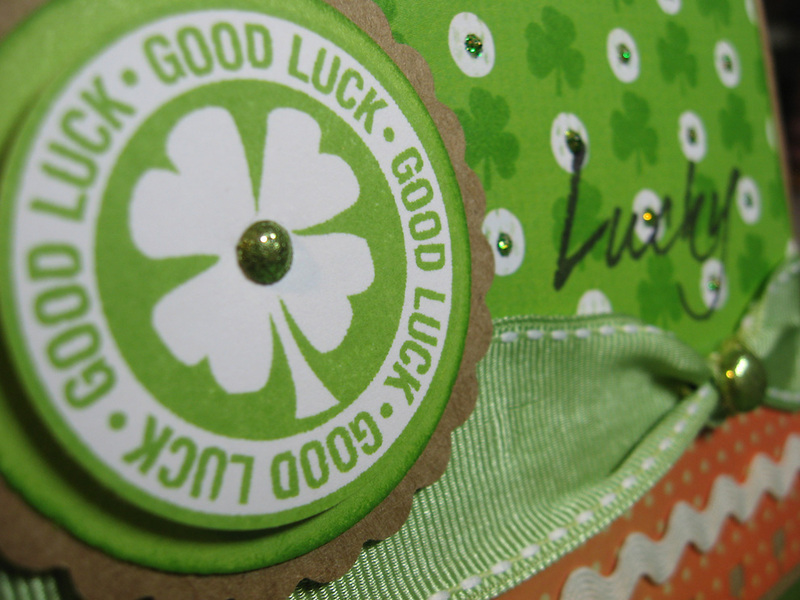 If you're in a pinch and need to make a card quickly for someone for St. Patricks' Day, here's an idea. Don't run out to the store and buy special paper. Just create your own pattern paper with stamps. The orange paper with the small dots I originally pulled from my stash because the back side is also Pear green, but when I flipped it over to put tape runner down, I thought how nicely the orange color contrasted with the polka-dot Pear paper. I punched the border edge with my Stampin' Up punch, and then added some Colonial White ric-rac and some Sweet Leaf grosgrain ribbon. I finished things off with a little more bling by adding the sparkly green brads. One large one on the ribbon knot and a smaller one in the stamped shamrock in the circle. Those brads came from CTMH but are now retired. 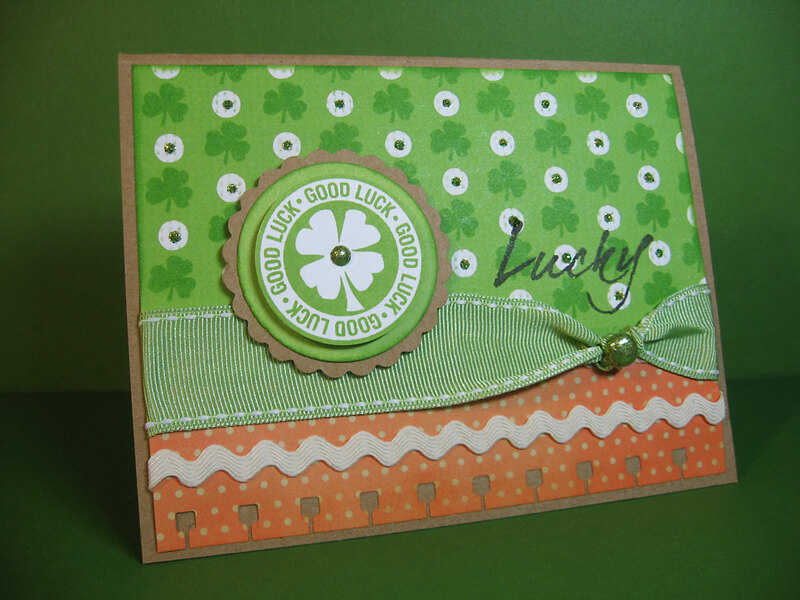 Did you know that Close To My Heart has a new 2-inch scalloped circle punch? AND we now carry Kraft cardstock! I love both of these new items. Gotta run, just got a phone call from hubby that he wants to meet for lunch. Can't say no to that! WOW this is super adorable!! Love it! !